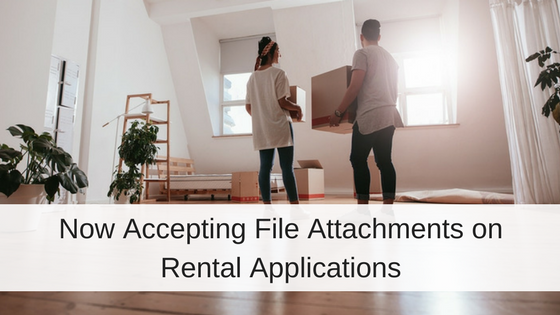 While a majority of landlords currently use manual methods for managing their rental properties, recent studies reflect a growing trend in the need for property management software to assist with their business tasks. 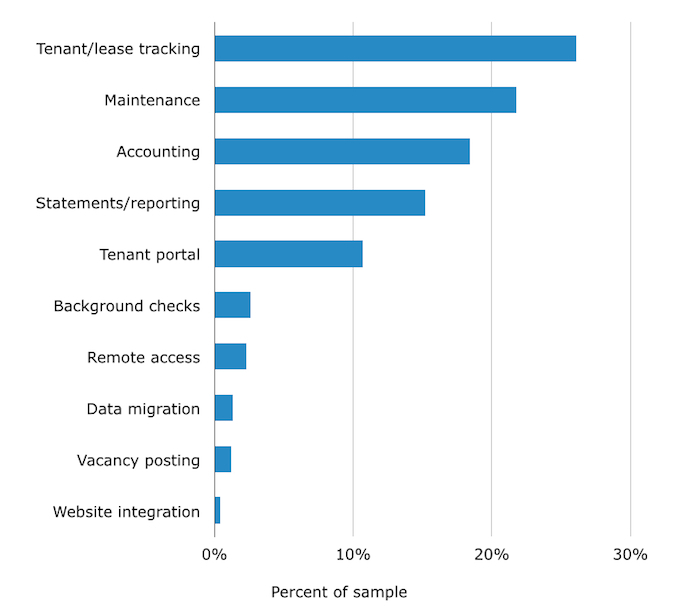 In an annual report provided by Software Advice, interactions with apartment managers were analyzed to reflect their needs and wants when purchasing online software solutions for managing rental properties. The data confirms a slow migration toward cloud-based property management software with modern systems that support such options as tenant and lease tracking, maintenance management, accounting and reporting and tenant portals. 53% of participants use spreadsheets or manual methods to manage their rental properties. 63 % of participants requested a need for industry specific software or wanting improved efficiency as reasons for purchasing property management software. 55% of participants want online, cloud-based software to manage their rental properties. 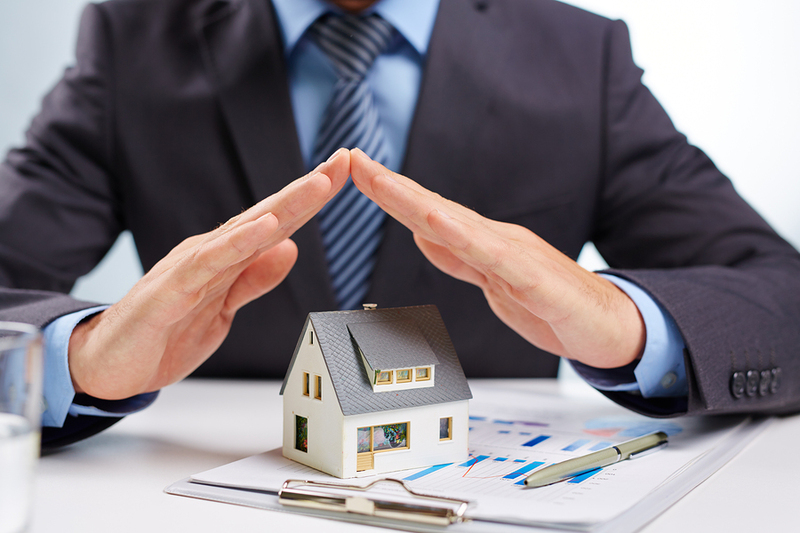 The report notes that it is not surprising to see a majority of managers choosing manual methods for their property managment business but anticipates a shift towards using online software in the future. This shift would mirror a worldwide trend in companies from all industries choosing web-based solutions over manual methods. As tech-savvy millennials enter the real estate market and purchase rental properties, online property management software users should increase as well. Efficient organization and reporting features, global access, and enhanced data security are reasons why property managers and landlords will benefit from using cloud-based property management software. 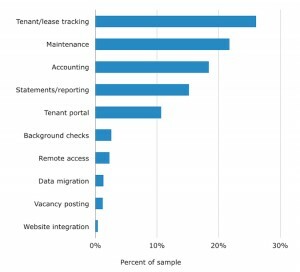 Tenant and Lease Tracking are the most requested product features in property management software. Source – Software Advice. Property management software empowers users with the ability to keep track of tenants and leases. Tenant tracking shows landlords who lives in each property and organizes tenant contact information. Lease tracking provides a summary of activity on any lease, including rental payment history, maintenance, and tracks when a lease might expire or already has, helping minimize vacancies. Keeping track of leases and tenants helps property managers and landlords stay organized and informed so they can be proactive in their rental business. 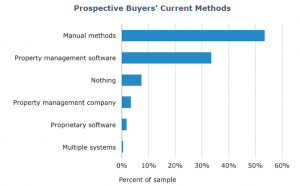 Software Advice regularly speaks with organizations seeking new property management software. To create this report, Software Advice randomly selected 385 phone interactions from 2014 to analyze. Software Advice is a resource for software buyers, providing detailed reviews and research on thousands of software applications. 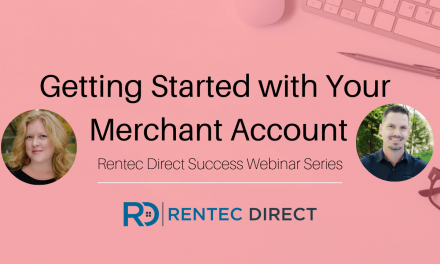 Trying a free trial of property management software, like Rentec Direct, is a great way for property managers and landlords to experience the convenient and professional business solutions found in cloud based software. PreviousHow are Landlords Managing Legal Marijuana Use in Their Rental Properties? Great and informative post! This is a great way for property management firms to keep track of several listings, and to stay current with the latest trends in technology. Thanks for sharing!